People occasionally scratch their heads when they hear that Best Start seeks to create systems change by empowering people through leadership and capacity building that transforms communities into places where children can thrive. What does that mean? Who does that affect? Why should I care? Sometimes the best way to illustrate something is to tell a story. Below you will find one such story, plus links to several more articles about Best Start parents and other participants who are building solid foundations for our children and communities by partnering with community-based organizations, businesses, policymakers and government. As you will see, the stories impact children, families and entire communities. They illustrate not only what the effort has done, but the potential for what it can do to strengthen families and communities and ensure the “Best Start” for children in Los Angeles County. Life-long Compton resident Julius Franklin says, growing up, everyone knew one of the best ways to get ahead in life was to play ball. “Sometimes we played baseball but, overall, basketball and football were always the top sports,” he recalled. Now as a father of three boys (ages 4, 7 and 9), Franklin knew the important skills and life lessons that come along with playing golf – such as patience, strategy, respect, manners and perseverance – and wanted to expose his young sons to the game. But how? His challenges, like many, included the cost of equipment and lessons, and the fact that he didn't know how to play. Fortunately, his wish was granted last summer when he discovered a free youth golf program that was struggling to get off the ground. 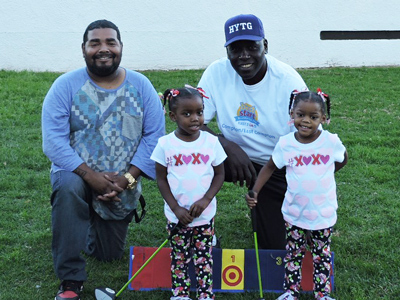 After just one conversation with Luis Baton, Sr., founder of Help Youth Through Golf (HYTG), Franklin knew the importance of enrolling his own kids, but also helping Baton with bringing the sport to hundreds more throughout the community. The opportunity to help the program reach more families came by way of the Best Start Compton-East Compton Partnership. As a leadership group member, Franklin thought it was important to invite Baton to their next community meeting. “His program was for kids ages 3 and up and he's so passionate and devoted to the cause of helping children, that I thought it was a great match (for Best Start families),” Franklin said. 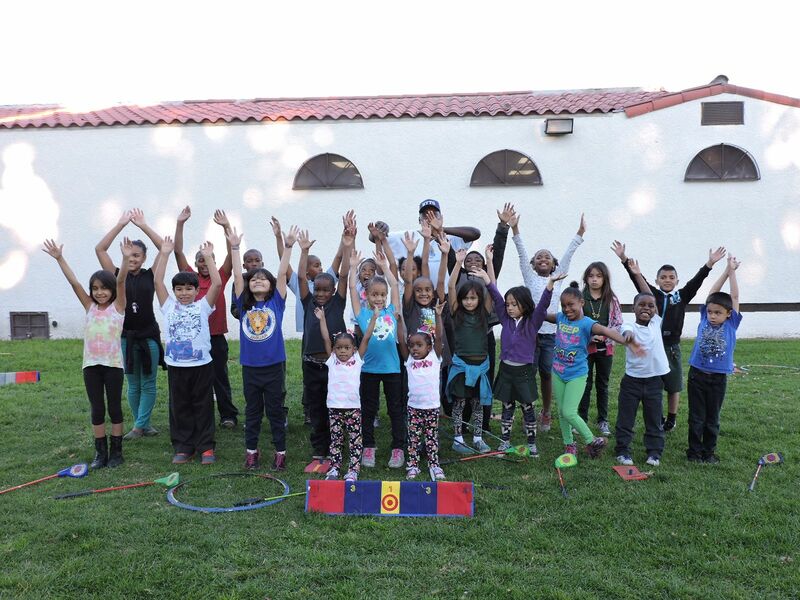 “The partnership opened new doors for me, and gave us the opportunity to bring the experience of playing golf to dozens and dozens of Compton families and their children that may not ever have considered learning about golf,” said Baton. 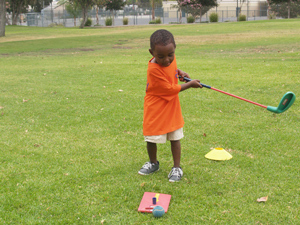 Initially, HYTG in Compton was reaching about 15 to 20 kids a week, but after Baton's collaboration with Best Start Compton-East Compton, the not-for-profit organization is now regularly giving free golf instructions to more than 100 children every week by offering lessons at a local Catholic school, Kelly Park and through the Sheriff's Youth Foundation. Several teen parents have also brought their toddlers and preschoolers to the program, Franklin noted. “It's helping the teen parent learn how to interact with their child in a positive environment, and it's helping to break down the isolation they're feeling, which helps strengthen the family unit,” Franklin said. Franklin says the golf program has delivered a lot of positive feedback and results, especially from his own three boys.